Are clients able to print off the forms? I am trying to provide a print release for clients to print off themselves, is is possible for them to print off the form through Jotform? Yes, form respondents can also print the form and even the form submissions. Though I am not really sure what you meant by "off the forms" , I think it is more on how the form respondent can print the form submission. 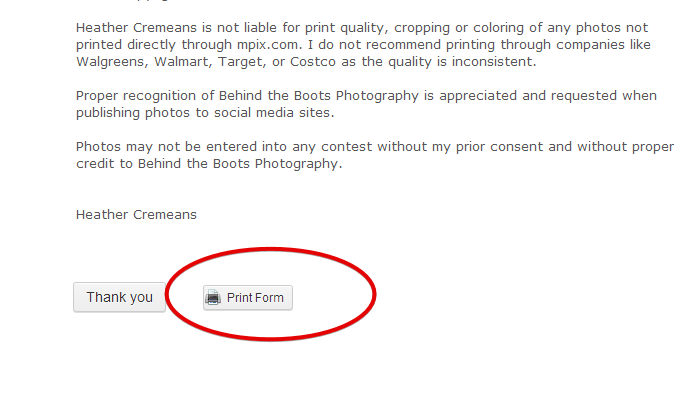 You can add the Print button on your form so that clients can print-the-form. 1. Create an Autoresponder Email for the form. 2. 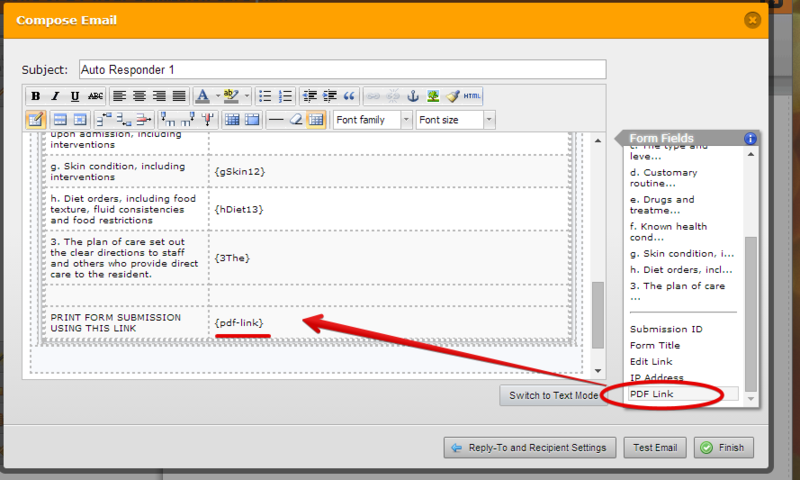 Add the pdf-link in the Autoresponder email message. 3. After clients submitted the form, they will received confirmation email with the link to allow them to view the PDF submission of the form -- they can then Print the PDF file.